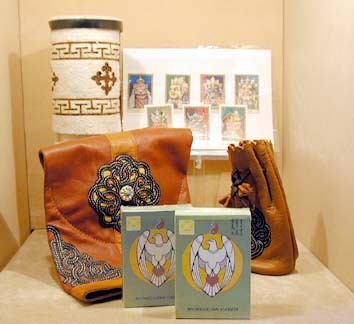 The Museum Shop has a wonderful array of original crafts, games, clothing and jewelry brought from Mongolia, some of which are pictured here. Please note that quantities are limited. 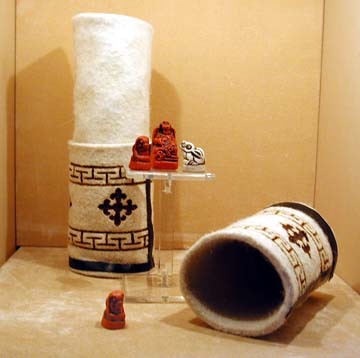 Several books related to the exhibition are also available. 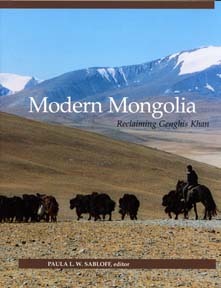 At left is the cover for Modern Mongolia: Reclaiming Genghis Kahn, edited by Paula Sabloff.